Now that your March Madness bracket is already collapsing, how about a matchup where you’re always a winner? 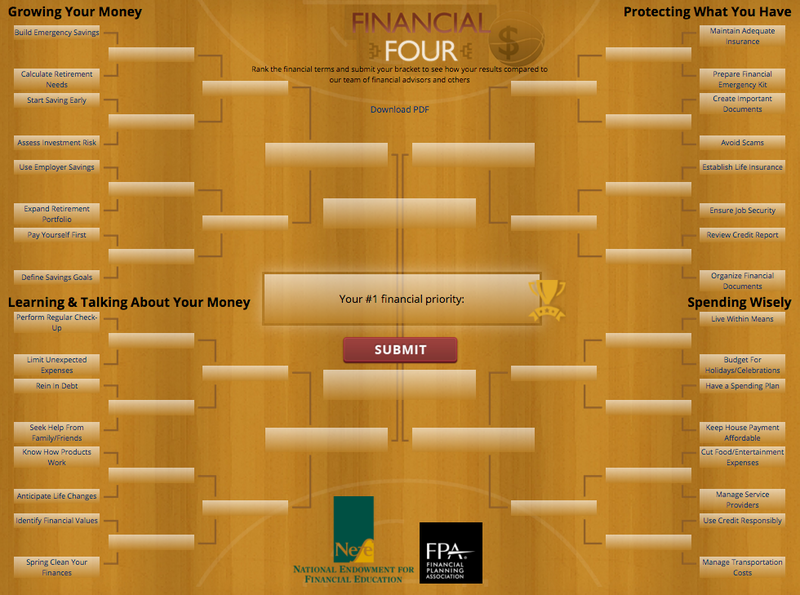 The National Endowment for Financial Education (NEFE) and the Financial Planning Association have put together an online interactive bracket of 32 financial actions that people can take to help make winning money moves. Have you heard of Valeant Phramaceuticals? Or how about the Sequoia Fund? Valeant is a drugmaker whose stock price has tumbled 70% this year on a potential accounting scandal. Sequoia is a mutual fund who took an out-sized stake in Valeant. Sequoia has fallen sharply, trails 98% of its peers, and their CEO just resigned. Why should all this matter to you? First, if you’re employed at one of the 50+ American companies that offers the Sequoia Fund as a retirement plan investment option, you may be unwittingly part of this debacle. Second, if you’re lucky enough not to be directly impacted, you should take this as a lesson and an opportunity remove similar risks from your retirement portfolio. Incredibly, the Sequoia Fund is one of the most widely held investment options for Walt Disney employees. It’s relatively rare for major employers to offer risky mutual funds like Sequoia that make concentrated bets. Such “high-octane” funds have no business being present in 401(k)’s and similar retirement plans. Plan sponsors could even face class-action lawsuits from investors caught up in this avoidable mess. Step #1: Educate yourself about what’s in your retirement portfolio. Step #2: Pivot toward a massively diversified portfolio that favors low-cost, tax efficient index funds versus expensive, actively managed funds like Sequoia. 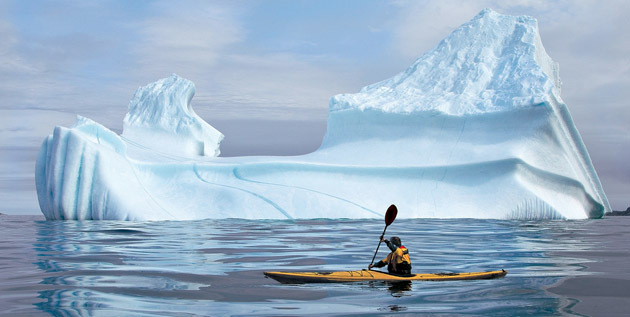 Step #3: Visit 401k.nstarcapital.com to access portfolio recommendations for +120 company retirement plans. Don’t see your company in the list? Shoot us an email (info@nstarcapital.com) and we’ll add your plan! Here’s an important reminder if you have an individual retirement account (IRA) or are considering opening an IRA. 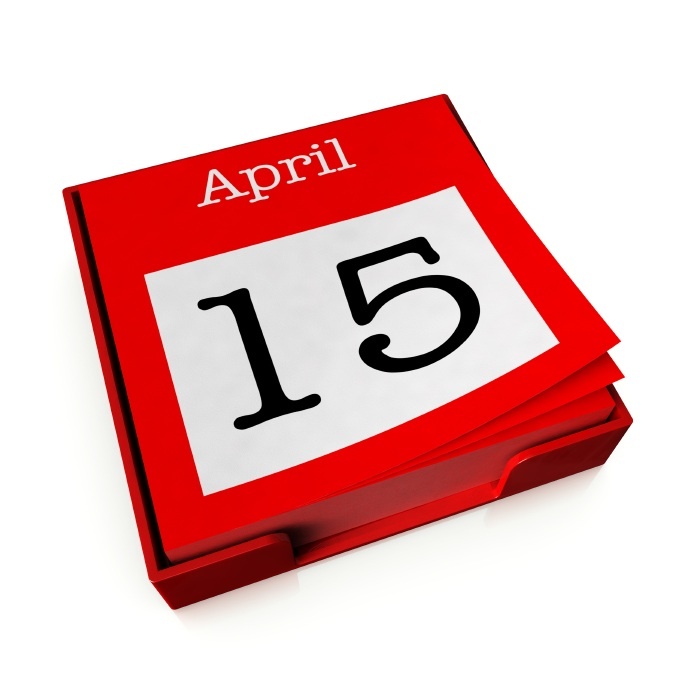 2015 contributions to IRAs can still be made up through April 15, 2016. Make it a double? If you really want to make the most of the growth potential that retirement accounts offer, you should consider making a double contribution this year: a last-minute one for the 2015 tax year and an additional one for 2016, which you’ll claim on the tax return you file next year. That strategy can add much more to your retirement nest egg than you’d think. *Note: The maximum contribution limit is affected by your taxable compensation for the year. Refer to IRS Publication 590 for full details. The savings, tax deferral, and earnings opportunities of an IRA make good financial sense. The sooner you make your contributions, the more your money can grow. If you have any questions or would like to make an IRA contribution give us a call at (704) 350-5028 or email info@nstarcaptical.com. First, let’s address the premise that you’re retiring into a bear market because you may in fact be jumping the gun! There are always talking heads in the financial media warning of an imminent bear attack. Pessimism sells and being a pessimist makes you look smart. Just look to the recent past. Every single year for the past five plus years “pundits” have threatened that a bear market is just around the corner. Meanwhile, the market has pushed onward, just like it does a majority of the time, and delivered a fantastic run up in value. 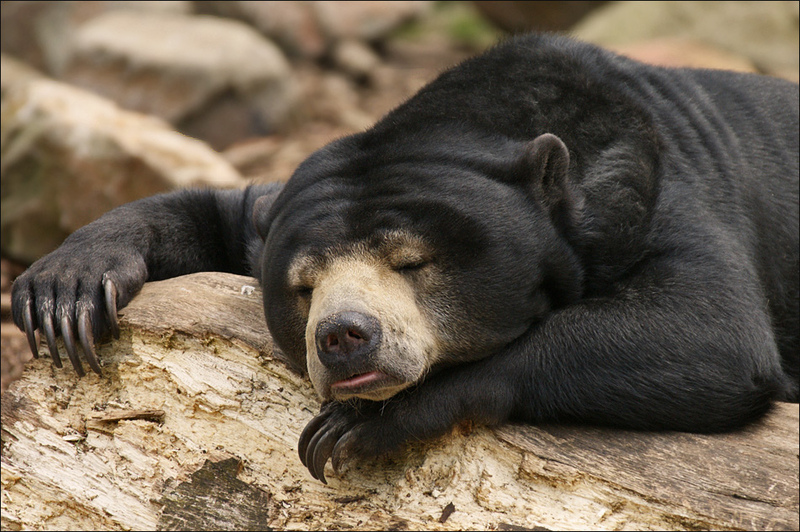 Don’t start planning for a bear market after it occurs. Since timing the market is essentially impossible, you want to structure your investments to be a stable ride whether it’s an up or down market. In fact, if you have a properly diversified portfolio with a robust mixture of stocks and bonds, you’ve got the all-weather portfolio that you need. Technical note — high quality intermediate-term bonds are your best option for preserving capital during an economic disaster. What about your attitude and, more importantly, your behavior? Prepare yourself psychologically to keep calm and carry on regardless of the investment environment. Getting your attitude and expectations in check will decrease the chances of making an unforced error and blowing up your portfolio. Have a plan and stick with it. If you need help, don’t hesitate for a moment to hire a financial coach because this is the most important game of your life. When you’re actually in a bear market, you’ll know it. By convention, market values will be off more than 20% and everyone’s attitude will be gloomy. While the market is down there are concrete steps that you can take to avoid straining your retirement nest egg and denting its future potential. What you want to do is avoid withdrawing from your investments as much as possible. The less you draw from your portfolio during the bear, the greater the spring back will be in its value when the market recovers. Historically, bears hit fast and then the market recovers quickly so you shouldn’t have to take these emergency countermeasures for too long. Another technical note — don’t forget to continue to annually rebalance your portfolio even in a bear market. Those intermediate-term bonds should be up in value which will provide you dry powder to buy stocks when stocks are on sale at temporarily diminished prices. 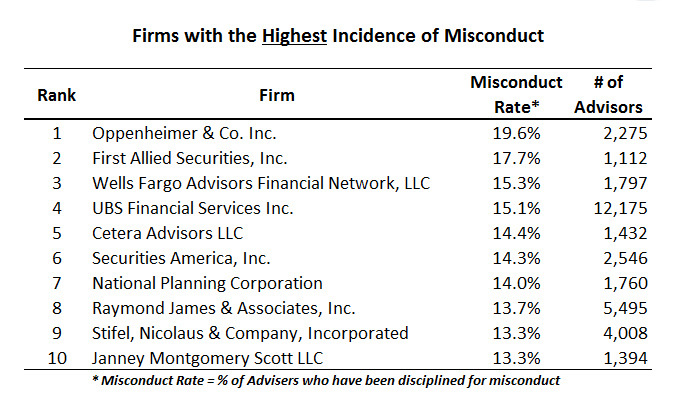 New research shows the level of financial advisor misconduct is alarmingly high. “It’s everywhere, not just small firms. It is pervasive,” said Dr. Amit Seru, a finance professor at the University of Chicago’s Booth School of Business and a co-author of “The Market for Financial Adviser Misconduct” (Egan, Matvos, and Seru 2016). These researchers data mined the FINRA database to aggregate and measure the misconduct data for all U.S. firms with at least 1,000 advisors. 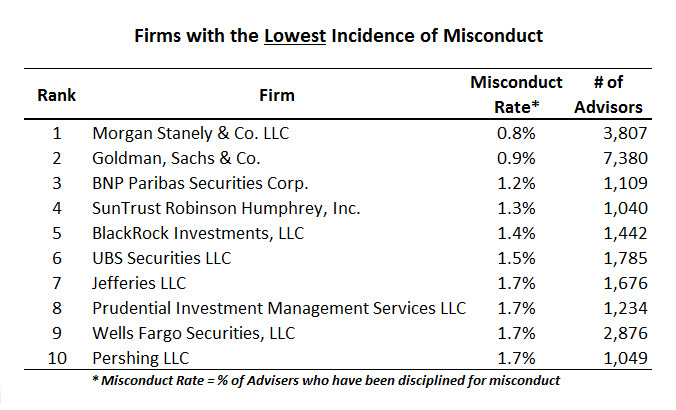 The industry-wide average was 7% of all advisors have records of misconduct. Oppenheimer ranked #1 in the “bad behavior” list. Nearly 20% of the advisors at Oppenheimer & Co. have been disciplined for misconduct that varies from placing clients in unsuitable investments to trading client accounts without permission. This rate is ~25 times higher than the “best behaving” firm, Morgan Stanley. Run, don’t walk, to the FINRA search page to immediately review your advisor’s regulatory disclosures!